Home is where the heart is. And it’s where Derek Kraus finds structure and support during his first season on the NASCAR circuit. 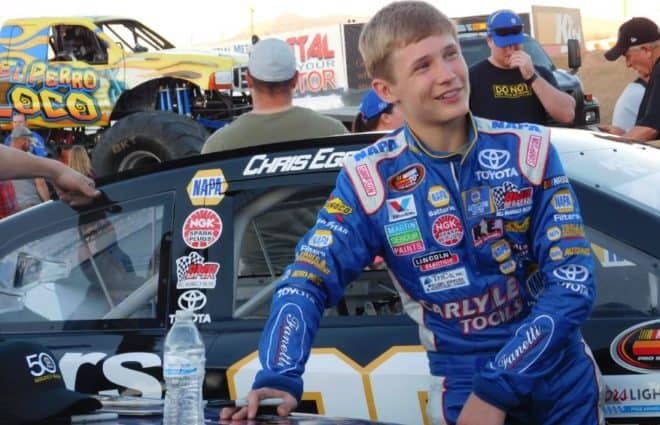 At only 16 years of age, the Wisconsin native has had a lot to learn from in 2017, tackling his rookie season in the NASCAR K&N Pro Series West. 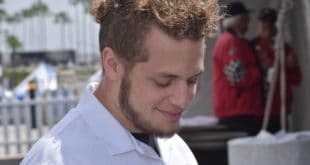 For a driver too young to drive on the street, that’s a weighty assignment. Adding to those expectations, he pilots one of the three most dominant cars in the series for Bill McAnally Racing. 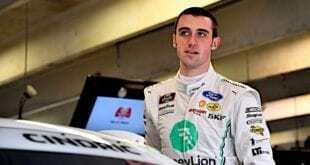 However, for the weekend at Charlotte Motor Speedway, Kraus got an opportunity to ease the pressure and try something different, racing in the NASCAR Whelen Modified Tour in Friday night’s non-points Southern Slam 150. He ran a solid sixth in a race won by the series champion, Doug Coby. 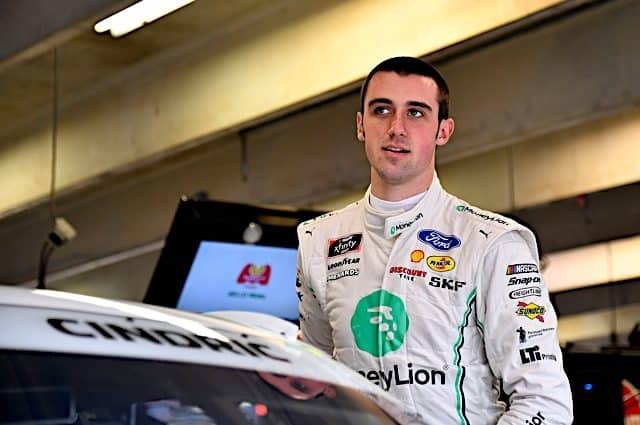 Despite the distance from Wisconsin to Charlotte, one connection has followed Kraus along the way in his racing career. Monster Energy NASCAR Cup Series driver Paul Menard, a Wisconsin native, helped Kraus get into the No. 77 he ran Friday night. The support from the 2011 Brickyard 400 winner spans back to his birth. Paul’s father John Menard helped Kraus’ father Mark return home shortly following Derek’s birth on September 1, 2001. Mark Kraus, who raced Paul in late models in the early 2000s, remembers the help from the Menards after having some trouble traveling to a race after his son was born. 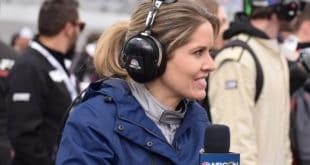 Fast-forwarding nearly 16 years, Paul Menard remembered the Kraus name when he tuned into the K&N West Series race at Sonoma Raceway this June. From there, they came back together. 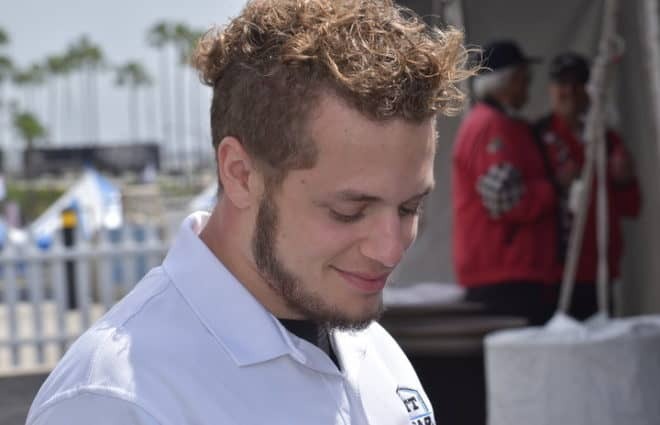 “We saw Paul at Sonoma and he came and talked to Derek,” Mark Kraus said. “They talked about the story, so Paul started following his racing. It all came together. Paul called and said that he may have an opportunity for Derek to run this modified. After 16 years and a growing racing career for Kraus, the support of 37-year-old Menard has kept Kraus looking upward toward 2018. 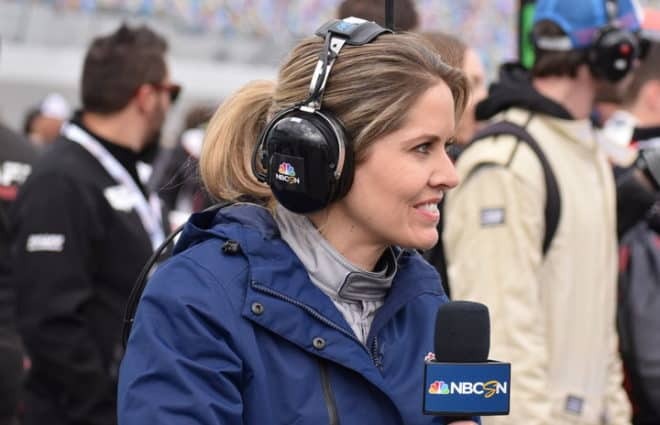 Despite the unique connection in the NASCAR garage, Kraus has more than one set of shoulders to lean on. 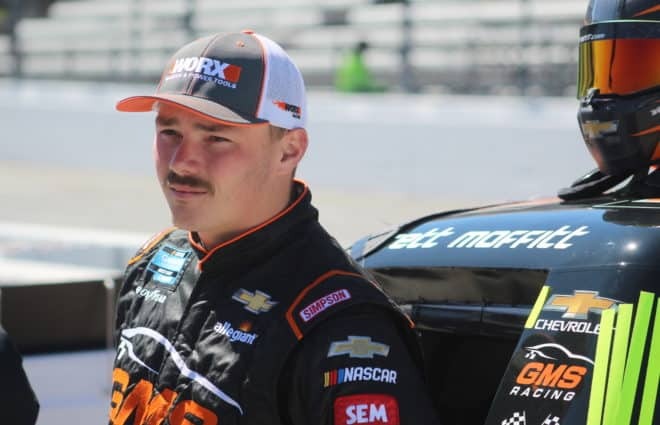 Driving for BMR in the West Series, Kraus has scored seven top-five and eight top-10 finishes after 12 races and sits third in the championship with two races left to run. The two in front? Teammates Todd Gilliland and Chris Eggleston, the men who have combined for 10 of the 12 race wins in 2017. Despite solid numbers on the West Coast, a first career victory has eluded the young driver. Perhaps his best shot at win No. 1 came last weekend at Meridian Speedway, when Kraus led a career-high 58 laps. He was out front with two laps to go by more than four seconds until a caution fell. On the ensuing restart, the win slipped through his fingers. Though teammate Eggleston was penalized for jumping the restart, Kraus fell back and only managed a fifth-place result. It was a disappointing ending, considering his dominance up front but still a big night in his young career to date. With his future still up in the air for 2018, Kraus hopes to end 2017 on a high note. He’s looking to return to BMR for next season although nothing has been officially signed. Whatever happens next, it’s been an experience of a lifetime for a young driver whose racing career took a big step forward in 2017. Driving the Modified tonight! Was P3 the first session and P5 in the second practice. Looking forward to the race tonight!